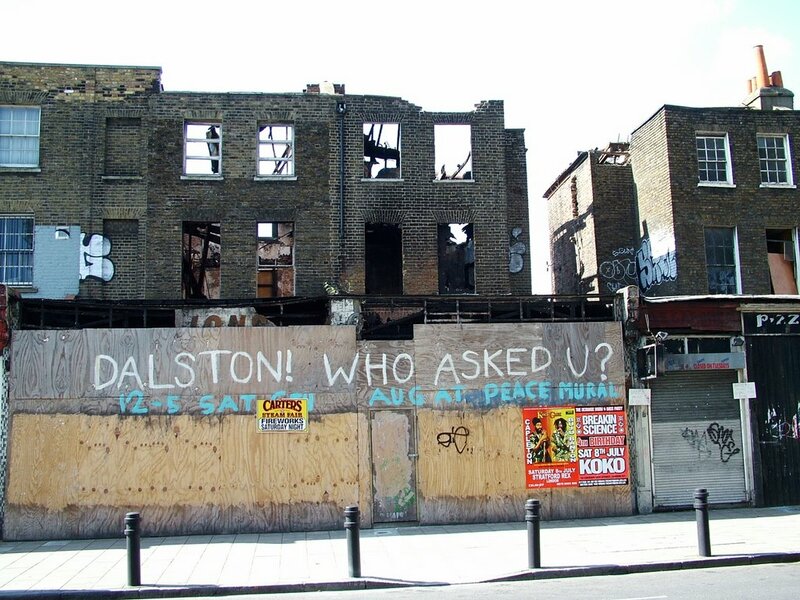 The municipal vandals have completed the demolition of Dalston's heritage buildings. They have destroyed the earliest surviving circus entrance in England. 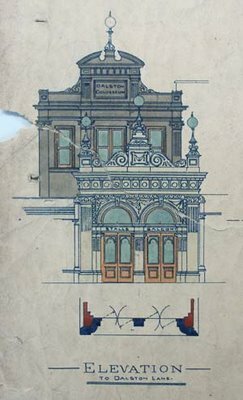 This 1886 entrance, with its stepped parapet and Corinthian pilasters, was described as "extremely rare" by the Theatres Trust and as "altogether quite delightful" by English Heritage. It was an urban gem. The philistines have also destroyed the 1898 entrance to Dalston Variety Theatre, built forward from the circus entrance, and which for 33 years was the home of Newton Dunbar's legendary reggae and soul music club, The Four Aces, and became a second home to international black musicians. Gone too are the locally listed Georgian houses next door,the earliest in Dalston Lane, which the Council's policy was to "preserve and enhance", and which made up this unique group of historic buildings. Also destroyed forever is the Dalston Theatre, where Hackney's own international music hall star Marie Lloyd worked and which Compton MacKenzie's father managed. The magnificent interiors became the jewel in Dalston's crown in 1920 when it was converted, at enormous expense, into a cinema. In its final years the Theatre became the home of the Labyrinth Club. Hackney Council acquired these heritage buildings in 1977 and their destruction began in 1995 when it declared the Theatre a development site. The Theatre's roof was removed, the occupiers evicted, the buildings were boarded up and they ran to ruin whilst the Council awaited offers from developers. The demolitions have been financed by the London Development Agency, with the agreement and approval of Transport for London and the Greater London Authority. These buildings stood as landmarks in our lives and in the lives of Dalston's previous generations. Since April 2005 OPEN has fought to save something of the site's 185 year diverse cultural history. We informed and worked with the community, we sought to persuade the authorities through consultation, petitions, planning objections and personal contacts. We obtained four Court injunctions to stay their hand. But the forces of municipal vandalism had made up their minds long before the public consultation started and have now achieved their objectives. Hackney Council and Transport for London now have plans to complete the demolition and Croydonisation of the remainder of Dalston Junction. The writing is on the wall. "The story that was never told" for a more detailed history.